On February 17 at approximately 8:25 a.m. the Calcasieu Parish Sheriff’s Office responded to a call at a local elementary school in reference to suspicious circumstances. When deputies arrived at the school and spoke with the complainant, they were advised that Shauna M. Reid, 37, Lake Charles, was trying to check a 3 year old family member into school stating that he was a 6 year old family member. The complainant told deputies when they told Reid the 6 year old was already in class Reid then stated that she did not know who the 3 year old was that she brought to the school. When deputies spoke with Reid she had unsteady balance and slurred speech. She also stated to deputies that she was confused and she thought she was bringing the 6 year old family member to school, but the school officials told her he was already there. Later in the conversation, Reid told detectives she now recognized the 3 year old and the reason for the confusion earlier was that she had just woken up and had mistaken the 3 year old for the 6 year old. Reid confirmed to detectives she was under the influence of prescribed narcotics. After Reid was transported to a local hospital, where she submitted to toxicology test. 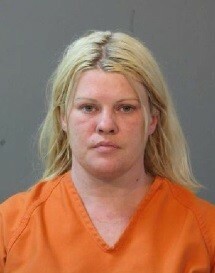 She was arrested and booked into the Calcasieu Correctional Center and charged with cruelty to a juvenile. Reid bonded out later the same day on a $3,500 bond set by Judge Ron Ware. The Department of Child & Family Services placed the 3 year old child in the custody of a family member. CPSO Detective Lt. Michael Primeaux is the lead investigator on this case.